One of the odd conundrums of film history is why certain filmmakers become firmly ensconced in the pantheon while others, whose work may be just as interesting, fade from view. 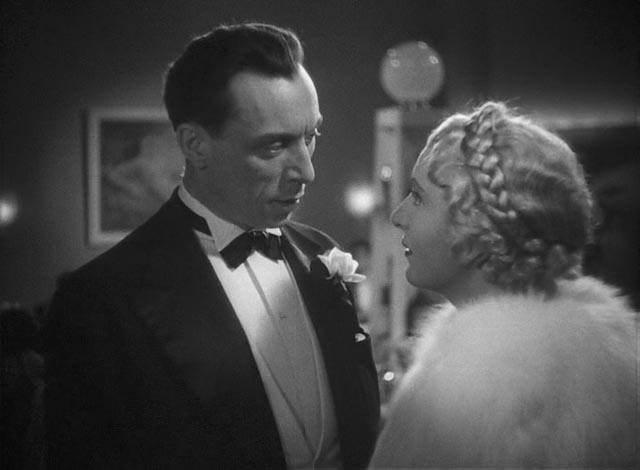 Julien Duvivier, a contemporary of Jean Renoir and Marcel Carne, with a career which was more prolific and lasted longer than both, is now mostly known for a single film: Pepe le Moko (1937), the classic tale of a Parisian gangster hiding out in North Africa, who is finally brought to his doom by love. While Duvivier may never have created a work to match the stature of the best by those two, he was a versatile, sensitive and – particularly in the early days of sound – innovative filmmaker. Criterion’s latest Eclipse box set, Julien Duvivier in the Thirties, is a revelation; collecting four features spanning from 1930 to 1937, not only does it illustrate Duvivier’s skills across a number of genres, revealing stylistic and thematic affinities with such masters as Renoir, Hitchcock and Max Ophuls, it also shows a wonderful touch with actors and with the construction of scenes for dramatic and comic effect – sometimes at the same moment. 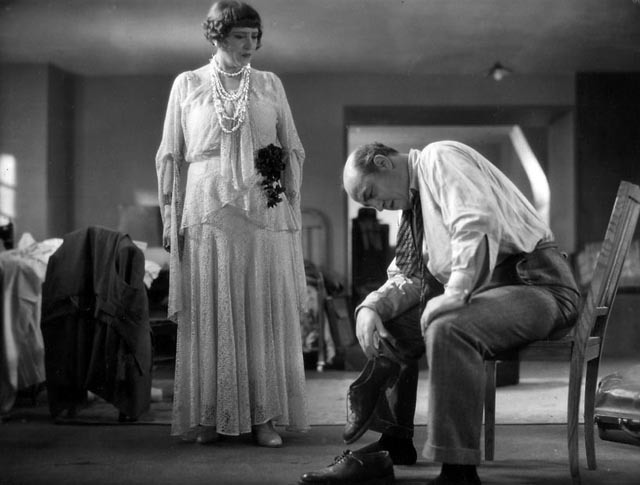 Even in his first sound feature (and twenty-fourth film), David Golder (1931), Duvivier uses a mobile camera in what turns out to be a signature characteristic in all four films – tracking through interior and exterior spaces to discover characters almost as if by chance in the midst of ongoing action. This camera technique, allied with a fine eye for architectural space, situates every story in a fully realized world, attentive to social and psychological details; even in scenes which seem to involve nothing more than two characters having a conversation, the camera draws out emotional nuances which enrich and give life to the text. Based on the young Irene Nemirovsky’s first novel (published in 1929 when she was just twenty-six, and adapted by Duvivier himself), David Golder is the story of a ruthless businessman finally brought face to face with the moral and emotional emptiness of his life when a heart attack forces him to stop working and causes the collapse of his business. A life of relentless work has suppressed any sense of conscience as his dealings destroy those who stand in his way. Now he must confront the truth: material gain has provided nothing of substance. But it’s not just his social relationships which are rooted in money alone; his venal wife, who wants nothing from him but cash to support her profligate lifestyle and her lovers, and his utterly selfish daughter, for whom money is love, see his business failure as a personal inconvenience. Although he cares nothing for his wife, his desire to please his daughter drives him fatally back into business. Considering when the book was written and the film made, there’s a great risk in the story, and it certainly has been accused of promoting an anti-Semitic stereotype – the money-mad Jew. But both book and film (which is a remarkably faithful adaptation) create such a well-drawn protagonist that it can’t simply be dismissed as an unpleasant caricature. Harry Bauer, as Golder, faced with his own mortality, regains his humanity in the face of the rank materialism of the age, a period in which easy wealth made much of society self-absorbed in trivial pleasures. Materialism is the assassin of feeling. The film opens with a rapid Soviet-style montage which quickly sketches in Golder’s power in commerce; this gives way to a focus on mise-en-scene, utilizing that tracking camera to create a coherent sense of social space, interspersed with expressive editing and camera angles to evoke unspoken psychological states. There is pace and energy in the imagery – Duvivier likes to speed along in cars, trains and planes to depict a world which seems to offer few opportunities to pause and reflect – and subtle use of sound, particularly in transitions where disparate visual elements are sutured together by the use of similar sounds (a speeding engine, crashing waves). Despite the stereotypical picture of an industry suddenly locked down by the necessity of recording sound, Duvivier (like Hitchcock, Lang, Mamoulian) proves once again that a talented director could harness the new medium in a powerfully expressive way. Well shot by the great Georges Perinal, with Armand Thirard and Ganzli Walter, David Golder is well-played by Bauer (a favourite of Duvivier’s who appeared in half a dozen of the director’s films), Paule Andral as his chilling wife Gloria, Jackie Monnier as his selfish daughter Joyce, and Gaston Jacquet as Gloria’s smarmy lover Hoyos. Duvivier had first adapted Jules Renard’s 1894 novel Poil de Carotte in 1925 (with a script by Jacques Feyder). His sound remake, once again starring Harry Bauer, as Monsieur Lepic, the father of the titular boy, is the most Renoir-like film in the set, with its portrait of rural life and its mixture of naturalistic comedy and darker undertones. The boy Francois, nicknamed “Carrot Top” by his mother, was born late into the marriage of Monsieur and Madame Lepic, long after two previous children – Ernestine and Felix – and, more importantly, long after any emotional attachment between the couple had died. Mme Lepic hates the boy and inflicts endless petty torments on him, while doting on the selfish, contemptuous older brother who blithely steals from her. 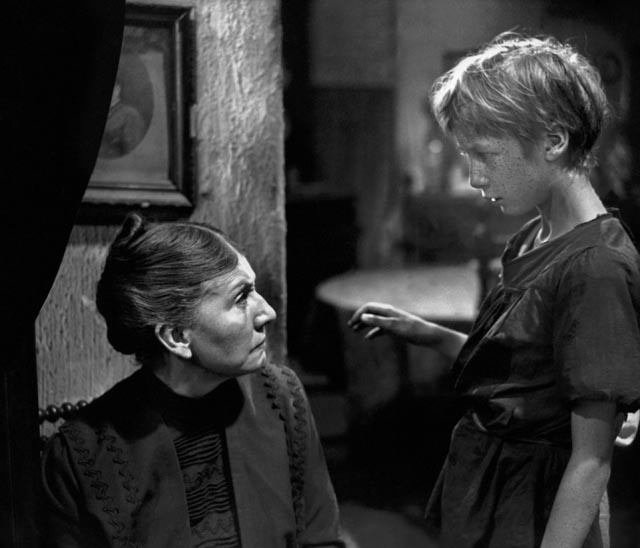 As the film begins, Francois is being taken to task by a teacher for something he has written — “a family is a group of people forced to live together under one roof who cannot stand each other.” The teacher is appalled by this expression of disrespect and insists that the boy appreciate his parents. But when he gets home at the end of term, the torments begin. Francois is bright and personable, with a lively imagination, but his yearning for some sign of affection, particularly from his father who protects himself by shutting the entire family out of his consciousness, is painfully obvious. And quite clearly seen by the newly hired maid Annette, who tries to make the distant father aware of just how cruel his wife is. The story, which begins with a sense of lightness, a nostalgia for rural life, slides inexorably towards tragedy before, at the last minute, offering a chance at redemption. With a leisurely pace and an obvious affection for rural life, while nonetheless remaining aware of the darker elements of family life, Poil de Carotte is emotionally rich, at times charming, and ultimately moving in its depiction of the damage parents can inflict, both wittingly and unwittingly, on their children. And once again, it is populated by an excellent cast in which young Robert Lynen as Francois is every bit the equal of Bauer. Catherine Fonteney avoids caricature as the monstrous mother, revealing the roots of her cruelty in the bitterness she feels about her own disappointment in life, a disappointment as much the fault of her husband as of herself. Christiane Dor as Annette provides the story’s moral centre, while Simone Aubry and Maxime Fromiot as Ernestine and Felix embody the stunted emotional life of the family. The photography by Armand Thirard and Emile Monniot moves effortlessly from spacious exteriors to crowded interiors which eventually take on an almost abstract quality though elaborate set design and the expressive use of light and shadow. Duvivier also uses optical techniques to evoke Francois’ emotional turmoil, most strikingly in a sequence at night when his mother orders him to go out and lock up the chickens and he is surrounded and pursued by phantoms which taunt him, and later, while he is asleep, and two versions of himself rise out of his body to argue about what he might do to escape from his situation. Just a year after the Renoir-esque Poil de Carotte, Duvivier made the very Hitchcockian La tete d’un homme, based on a novel by Georges Simenon, with Harry Bauer once again starring, this time as the famed detective Jules Maigret. But this is hardly an imitation as Hitchcock himself was at the time still in the process of forging his signature approach to suspense. Like Hitchcock, Duvivier here is not interested in mystery, but rather in the psychology of crime and detection, and the bonds which form between criminal and investigator. In the adaptation co-written by Duvivier, we are introduced to the perpetrators and the details of the crime before Maigret enters the picture. A man in a bar is overheard commenting that it would be convenient if his wealthy aunt died, leaving him her fortune; a note is slipped into his pocket telling him that the job will be done for a price. The murder is committed, with the killer carefully framing a simple-minded thief. The thief is easily caught, but Maigret finds the evidence against him too substantial, too obvious … and he deliberately allows the man to escape, hoping that he will lead to the real killer. Again, this is quite quickly accomplished, and the remainder of the film plays out as a cat-and-mouse game between the detective and the nihilistic murderer, a Czech medical student dying of an illness (possibly tuberculosis) who has committed the crime as a kind of existential gesture in defiance of his own mortality. 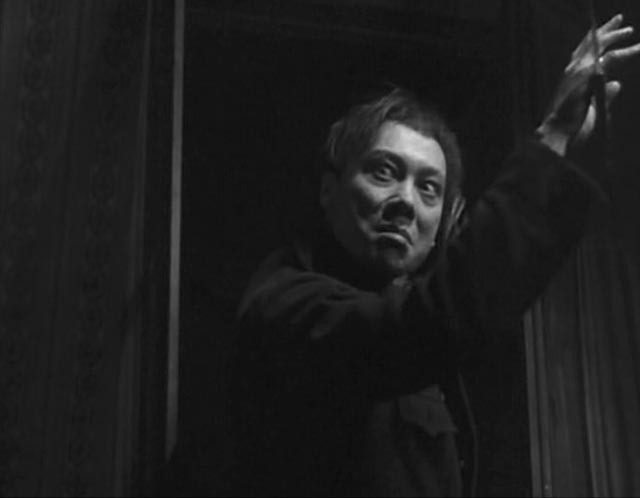 Much of the film plays out in intense dialogue scenes, shot claustrophobically to emphasize the mutual bond which ties the police and the criminals together. The scene in which Maigret and a magistrate take the simple thief back to the dead woman’s house and have him reenact the crime is a brilliantly sustained display of psychological suspense; the later scenes between the detective and the actual killer transform crime and detection into an intellectual game, emphasizing how necessary the criminal is for the detective’s existence to have meaning. From the opening which uses a long tracking shot towards a guillotine under the titles, to the expressive use of close-ups and camera movement with and against the movement of actors, Duvivier imbues the film’s images with psychological weight. There is also a fascinating montage in which a policeman interviews a series of witnesses, with the actor standing continuously at screen left while those he’s questioning appear in a series of overlapping scenes in rear projection – a virtuoso technical effect which paradoxically compresses time without fragmenting it. Bauer here is more understated than in either David Golder or Poil de Carotte, a kind of stillness around which the sordid events revolve, the force of his intellect alone reestablishing a sense of balance which has been disturbed by the crime. His low key presence creates ample space for two exceptional performances by Alexandre Rignault as the simple thief Joseph Heurtin and Valery Inkijinoff as the deeply sinister killer Radek. This fascinating human monster alone should have guaranteed La tete d’un homme a lasting place in the history of cinema suspense – a place which hopefully now will be granted by this Criterion release. Four years and eleven films after his Maigret adaptation, Duvivier made Un carnet de bal (Dance Card), virtually a compendium of everything he had done to date. This lengthy (130-minute) feature is, in effect, a series of episodes, or short films, playing variations of a theme – the flawed nature of memory and the illusion of nostalgia. As it begins, the widow Christine (Marie Bell) returns to her villa beside an Italian lake and surveys the emptiness of her life. In conversation with a friend, she decides that she must return to her past to see what might have been and to understand how she got to where she is. The device on which this hangs is the dance card from her first ball, when she was sixteen, with its list of the boys and men she danced with that magical night. 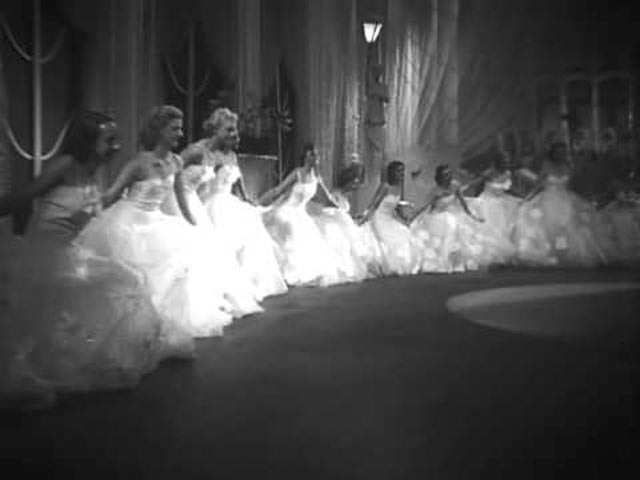 The ball itself is evoked in yet another virtuoso technical effect, with shadows playing on the villa wall transforming into a glittering line of girls in flowing dresses being swept out onto a dance floor by elegantly dressed men, all subtly played in slow motion to add a note of wistfulness and, perhaps, to suggest the unreliability of the memory. Leaving the villa, Christine travels across Europe and visits seven different men. Each episode plays in a different style, some devastating, some lightly comedic – but even the latter, as in Poil de Carotte, eventually reveal an underlying darkness. Interestingly, these episodes focus on the former suitors rather than on Christine herself, who becomes, like the audience, an observer of lives which have failed to achieve their potential, with each one reflecting back on her and her unconscious cruelty as a girl (including one suicide and a second attempted suicide by rejected suitors). These episodes highlight Duvivier’s mastery of the psychological, using decor, camera angle and movement, lighting and sound to illuminate the richness of these lives, their small triumphs and large failures. And each showcases the powerful performances of the supporting cast: Francoise Rosay as a mother driven to madness by the suicide of her son; Louis Jouvet as a failed lawyer turned criminal, who through her visit manages to get a brief glimpse of what he once was; Harry Bauer yet again, this time as an older man, once a celebrated composer who fell hopelessly in love with a young girl, who became a priest and now devotes his life to teaching music to unruly boys in a church choir; and, in the film’s most striking and visually powerful episode, Pierre Blanchar as a former medical student turned abortionist, pushed over the edge into madness by her visit. While the structure of Un carnet de bal makes it seem more diffuse than the other films in the set, the richness and emotional variety of the episodes sustain it. And yet, even with its overriding sense of loss – Christine tells her friend at the end that “not one [of them] lived up to his youth. I set out full of illusions and come back full of regret” – she has learned something about life from her journey: that the past is an illusion and that she must move forward. And in the end, she staves off her loneliness by taking on responsibility for someone vulnerable and as alone as herself. From the late ’30s and through the ’40s, Duvivier moved back and forth between France and Hollywood, to which he was invited after Un carnet de bal to make the Strauss biopic The Great Waltz. He continued to make movies until 1967, the year of his death, but fell victim in the ’50s to the New Wave critics who were determined to sweep away the past of French cinema. While there were perhaps good reasons for this at the time, from our perspective it is easy to see now that there was much of value in the work of earlier generations. This Eclipse set presents a very strong case for the rehabilitation of Duvivier. I only regret that it doesn’t also include La fin du jour (1939), his wonderful melancholy film about life in a home for retired, impoverished actors, which stars a number of the greats from the ’30s. As with most of Criterion’s Eclipse sets, the disks feature unrestored transfers of these four films. Not surprisingly, the source prints are in fairly rough shape, with scratches, missing frames, unstable and at times out of focus images. But despite these flaws, all four films are powerful and rewarding viewing. The mono soundtracks are also occasionally rough, with surface hiss, but dialogue is clear enough throughout. As usual, Michael Koresky provides brief but informative liner notes. This entry was posted in Review and tagged Actors, Classics, Criterion, Directors, DVD, Eclipse, French Film. Bookmark the permalink.